Litochoro is an ideal base for exploring not only Olympus and the wider region, to locations with natural beauty and historical and archaeological sites. 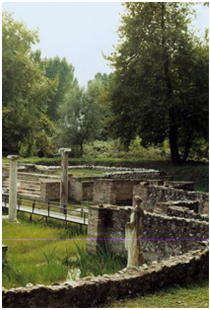 It is worth visiting the archaeological site and the museum of Dion, the Byzantine castle of Platamonas, the traditional old village of Panteleimon, the valley of Tempi and the ski resort of Elatohori. Having Litohoro as basis, daily trips can also be made to Thessaloniki, Vergina, Larisa, Meteora and to all the other important destinations in Macedonia and Thessaly through the very good road network (National Road Egnatia). Litohoro with its surrounding area is also ideal for doing different sports and can satisfy many interests and activities. Climbing, abseiling, skiing, biking, running, paragliding, riding, Swimming, diving, fishing, cruises, beach volleyball, Tennis, football 5x5, basketball, athletics, Gym, sauna, massage, amusement parks, Chess, backgammon, billiards, internet cafe.